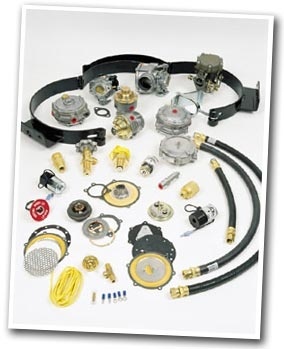 Our extensive Parts Department offers a full line of Toyota Forklift Parts as well as replacement parts for even more makes and models, via our aftermarket program, Starlift. Whatever problem you're having with your equipment, we have the parts to fix it and the experienced staff to talk you through any technical problems. For your convenience, our parts inventory is included in Toyota Forklifts online nation-wide network, so if by some chance we don't offer the parts you need, we can locate those hard-to-find parts wherever they may be and ship them to your door. We also offer overnight shipping from our Parts Department to your location to ensure the efficiency that Bahrns ToyotaLift is known for. Bahrns ToyotaLift raises the bar when it comes to efficient and reliable forklift service. Our massive inventory is on hand and readily available so that our factory-trained technicians can quickly respond to problems. Some of our certified technicians have been providing forklift service for over 25 years. It would be an understatement to say that they know what they are doing. Our staff know their forklifts inside and out and can diagnose and provide whatever forklift service may be called for with your particular equipment. ToyotaLift of Illinois has the knowledge, capability and skill to provide forklift service to your entire fleet. We offer regularly scheduled maintenance and even on site forklift tire installation. We guarantee that you will be satisfied with your forklift service and will return to Bahrns ToyotaLift Service department over and over for any and all forklift service needs. Rest easy knowing that your forklift is in good hands when you trust Bahrns ToyotaLift to provide service. 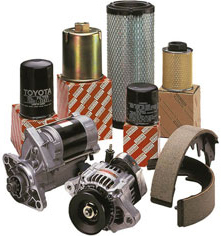 We have access to replacement parts for over sixty manufacturers, from Daewoo, Toyota, Nissan, JLG, to GE, Raymond, Yale, Crown and Mitsubishi. 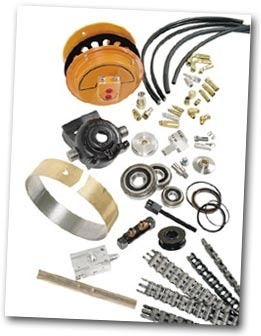 We offer parts from both O.E.M. manufacturers and other manufacturers. We mean it when we say our Parts Department is extensive, to say the least! And because it's from Toyotalift of Central & Southern Illinois, you are guaranteed that the parts you purchase are 100% genuine. 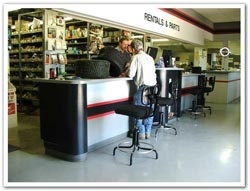 As always you can turn to our factory-trained technicians for any of your questions about parts. We understand that your concerns are with your overall business and you don't have energy to stress about parts for your forklift fleet. You can focus on your business and not waste time worrying about parts when you place your trust in Bahrns for all of your parts needs.